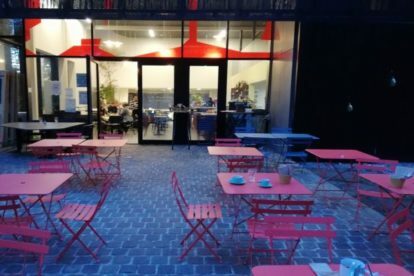 La Laiterie du Parc emerged from the idea to revive the history and memory of an old café from 1900 which was located in Brussels’ Parc Josaphat. The old building burned down in 2003 and the new café is housed in a fantastic piece of contemporary wooden architecture that blends in nicely with the greenery and artistic beauty of one of the city’s best-kept secrets. Inside you will find a cosy and inviting space where it’s possible to drink a coffee or tea, or a fine selection of wines and beers. In the summer months, there is a large terrace to enjoy the sunshine in the park. To make things even more exciting, there is also food available with a nice selection of salads, sandwiches and burgers. If you are here over the weekend, they do great classic brunch options, such as eggs Benedict. Consult their site too for the regular concerts and events.